Our Director Professor Peter Dwyer delivered the opening plenary at the prestigious Australian Council of Social Service annual conference in Sydney today. ACOSS is a national advocate for action to reduce poverty and inequality and the peak body for the community services sector in Australia. 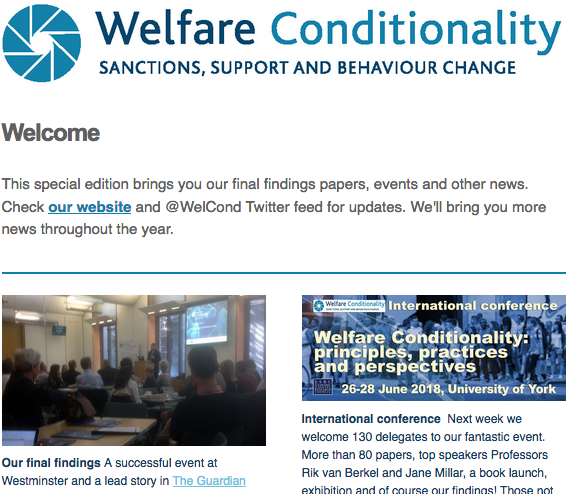 Professor Dwyer outlined key messages from our research on the failures of conditionality in the welfare system, and its ineffectiveness in helping people into work. Professor Dwyer then appeared in a live interview with Josh Szeps on ABC Radio Sydney’s primetime Drive programme. They discussed remedies to the problems of welfare conditionality, including the need for appropriate support to benefit recipients, and potential changes to the nature of work and welfare. Our research findings are here. Hear the live interview (scroll to 2hr 10min).